I am not a huge porter fan, but I am a big Knee Deep fan, so I decided to pick this up while I was stockpiling Hoptologists (I'm down to only 2 though :( ). 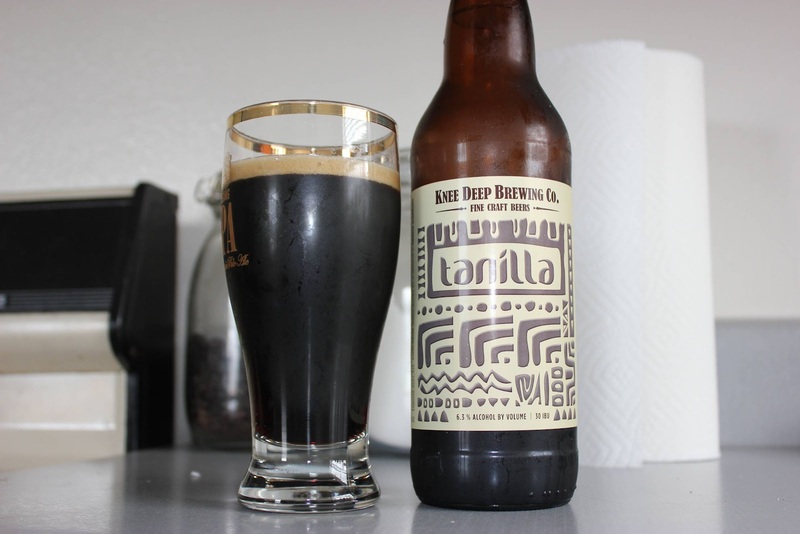 One of the best porters I have had was the Vanilla Gorilla from Red Brick in Atlanta, although that one was an imperial. This one has the same great flavors as the Vanilla Gorilla (Tahitian vanilla, hence the tanilla name), but the first thing I noticed was it felt a bit thin. The vanilla is just right on this, and it really reminds me of drinking coffee with a nice scoop of vanilla ice cream. The only thing I would change is make this a little more imperial to add some more depth to it, but alas, upon further inspection on the website, they do make an imperial version of this as a seasonal beer. I might have to make a trip up there to pick some of that up along with a few cases of hoptologists. This is definitely a must drink still, and is one of the better porters I have had. Upon further inspection, they are loafers.